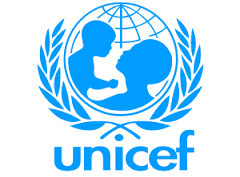 (News Investigators) /United Nations Children’s Fund (UNICEF) says as at today, a total of 1,469 children, including 1,175 boys and 294 girls, associated with the Civilian Joint Task Force (CJTF) have been identified within the city of Maiduguri, capital of Borno State, Nigeria. Even as 833 children were released Friday from the ranks of a local vigilante movement involved in the fight against terror group Boko Haram in Nigeria’s northeast region. In a statement, the UNICEF said the first formal release of the minors from the CJTF was part of the commitment to end and prevent the recruitment and use of children in armed conflicts. The release on Friday, according to Xinhua News Agency, followed an action plan committing the group to put measures in place to end the act since September 2017. Agency report quoted a local security source as saying the minors were mainly recruited and used as spies or sent on errands by the Civilian Joint Task Force (CJTF) assisting the military to fight Boko Haram. “The kids don’t carry arms, theirs is to give information about suspected Boko Haram fighters and their whereabouts. It is a good development that they were released to live as innocent children that they are, to own their own lives,” Tokunbo Alabi told Xinhua by telephone. “The release of these children from Civilian Joint Task Force shows commitment to implement the provisions of the Action Plan and to uphold the international humanitarian law, human rights laws as well as other regional and national legislations protecting children’s rights,” the UN agency’s statement said. UNICEF described the children’s release as “a significant milestone” but expressed worry that many more children remain in the ranks of other armed groups in either combat or support roles. “We call on all parties to stop recruiting children and let children be children,” it added. Geoffrey Njoku, an information officer of UNICEF in Nigeria, told Xinhua by telephone that negotiation was ongoing for the release of more children in the ranks of armed groups in the West African country.